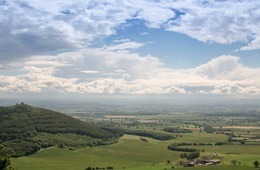 North York Moors near Pickering an area of outstanding beauty. 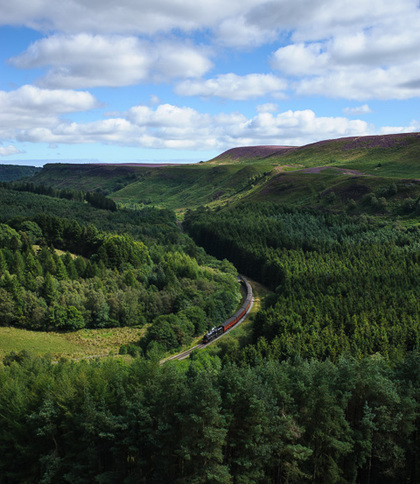 From the high moorland and deep dales, to the unspoilt forests, rivers and coast, the North York Moors National Park is a diverse area of natural beauty, and unlike anywhere else in the world. At over 550 square miles, it’s home to one of the largest expanses of heather moorland in the UK, and renowned for its breath-taking beauty. 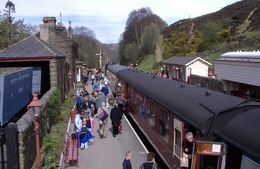 Instantly recognisable from its extensive use in films and television programs, the area is also home to the North Yorkshire Moors Railway, which runs a regular steam-train service from Whitby to Pickering, stopping at local villages. 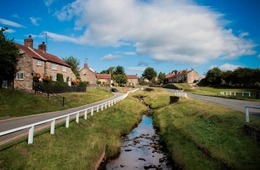 Hugely popular with visitors, the North York Moors National Park isn’t just an area of extraordinary natural beauty - it’s packed with pretty villages, stately homes, museums, historic monuments and buildings, and fantastic restaurants and pubs. An absolute must for anyone visiting the region, there’s something for everyone to enjoy inside this much-loved and well-managed national park. Additional information about the North York Moors can be found here.